A special request by an awesome patron, Vedant. 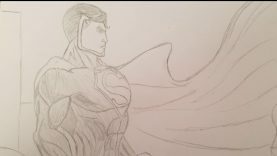 He wanted superman with a touch of anime. I hope you like how it came out! I had a little more fun with this drawing than intended, but wow! !